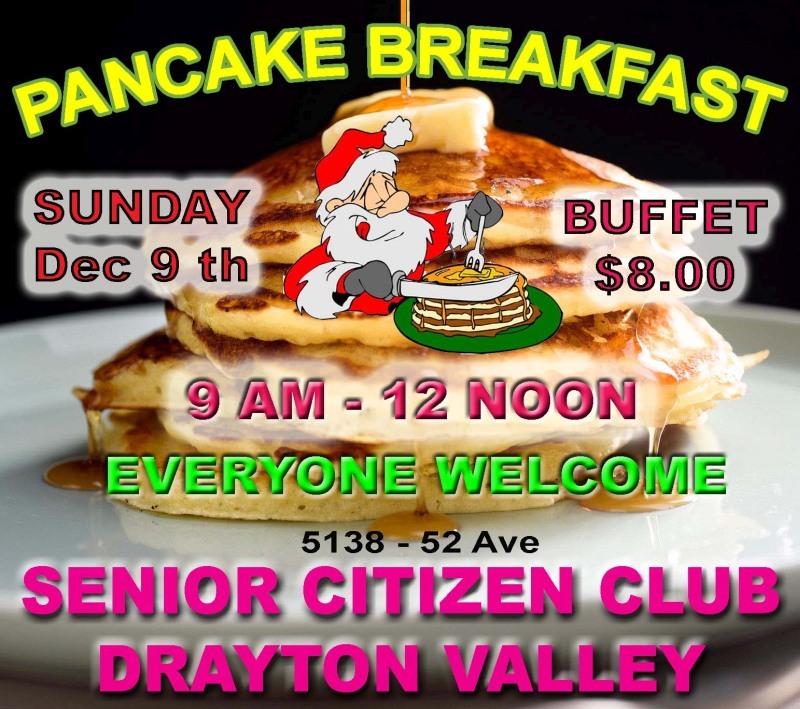 Everyone young to senior are welcome to our regular Pancake Breakfast, held on the second Sunday of every month starting at 9 am until 12 noon. Buffet style, no waiting, full menu includes pancakes, french toast, scrambled eggs, sliced ham, two types of pork sausage include plain fried or smothered in rich tomato sauce, good choice of condiments including butter and Maple Syrup or diet products for those who wish. A special treat of fruit or berries with real whipped cream. Include tea, Folgers coffee with real cream, tang orange juice or hot chocolate. All this for $8.00 with children 6 and under free. FREE DRAW TO WIN two tickets for any future regular breakfast.